Have you always wanted to own your own business? Becoming a Kaeser & Blair dealer can help you supplement your income and lets you be creative at the same time. No one can let you go from your own business. Great for people who like to think outside the box! 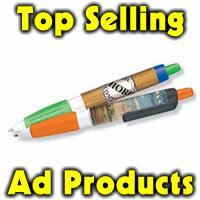 Simply Click Here to Sign up to become a Promotional Products Dealer. In the Promotional Advertising Industry of Advertising Specialties. Going into business for yourself is a very serious matter even though there may be little or even absolutely no financial risk. It’s still serious simply because you want to be comfortably certain you have selected the very best opportunity for yourself. For over 100 years Kaeser and Blair has helped thousands of prospective sales professionals make the “right choice” to become a K&B dealer, and build profitable dealerships. Many have even built their dealerships into a marketable business which they sold upon their retirement from the industry. Remember, with our opportunity you are building equity in your own business. In order to determine if this business or any other business opportunity is the most suitable for your situation, you must investigate. Therefore, we urge you to thoroughly investigate every business opportunity that interests you, including ours. Your ultimate success depends on a clear, sound evaluation. Anything a company gives away, sells, or uses to promote their business. From inexpensive giveaways (like bumper stickers, and plastic key tags) to expensive executive gifts (like leather portfolios) to premium items (like an Igloo cooler) to the giant advertising balloons or the printed hats and T-shirts the pizza delivery guy wears. They are the “imprinted” goodies we’ve all seen a thousand times with the most common probably being pens and calendars. 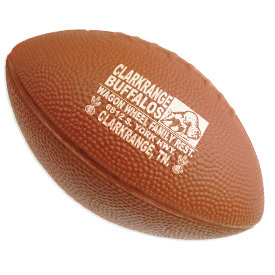 Nearly every successful company uses promotional items of some kind. If they don’t, they should, because it is the single most cost-effective form of advertising there is. Why is this? Because the success of an ad depends upon it being there at the exact moment when the person wants or needs what the ad is offering. Every other form of advertising is here today, gone tomorrow (or gone in 30 seconds flat). Advertising Specialties find a permanent or semi-permanent home on refrigerators and walls. They get worn. They get carried in pockets and purses. They get used every day. Which means they get seen again, and again. An example is a funeral homes. They represent one of the biggest users of specialty products. And when the need arises, who will most people call? The “stranger” in the phone book, or the “friend” who put the calendar magnet on their refrigerator? What makes Kaeser Blair and this business so special? No collections required, K&B does all billing and collecting! No business investment, this is a RISKLESS OPPORTUNITY! It is important to understand that K&B is the “Distributor.” You are an “Authorized Dealer” under K&B’s distributorship. However this means that you own your business and you own your accounts. K&B will not solicit your accounts. If you choose to open a distributorship of your own, or if you go to work for another distributor, you are free to take your clients with you. K&B pays commissions to dealers on a daily basis and as far as I know, they’re the only distributor that ADVANCES commissions. As soon as the order is processed (art work okayed, prices verified, the customer’s credit approved, etc. ), you receive your full commission. They even have direct deposit options. As a Dealer you will receive K&B’s Exclusive “Best Buys Catalog” which has a great selection of all types of promotional products filling about 130 pages, at “Killer Prices” designed to knock your customers’ socks off. We have found that items in this catalog usually can not be found at a better price. You also receive another 40-or-so catalogs with your start up kit. These are full-color manufacturer’s catalogs. You can get literally ANYTHING your customer wants through K&B. If you don’t find what you’re looking for in your catalogs, K&B also has full computer-searching capabilities, and as ASI (Advertising Specialty Institute) members, they (which means YOU) can buy from any one of THOUSANDS of manufacturers. In other words, you will never have to tell a customer you can’t get the item they want. K&B provides full support. If you get in over your head (which you probably will a time or two), you can call for help, and they’ll walk you through a transaction. They encourage you to become “an idea person” which is a consultant that helps clients choose the right items and guides them through the entire promotion, from planning to actual distribution, and they’ll do everything they can to help you achieve this goal. There is a lot of it! But this is a HUGE industry and it is growing by leaps and bounds While K&B does over 40 million dollars annually it has less than 5% of the total market. So theoretically, 95% of all companies currently buying advertising specialties are your potential customers, and new ones start every day. So wherever you are, I believe it’s possible to succeed in this business, but there is one thing you must understand. It requires personal contact, and maybe lots of it. You probably can’t just put your products on the internet and expect to succeed. And you probably can’t drop off catalogs and wait for the orders to come in. You have to be willing to contact customers, follow up every contact or every letter with a phone call, etc. But if you’re an outgoing person and you’re comfortable getting out there and meeting people, I don’t believe you can do better than K&B. One thing to remember this is NOT a MLM business. This isn’t like struggling to get started in an MLM where everyone is skeptical (or downright hateful), they don’t really want the products, and they sure don’t want to pay inflated MLM prices. These are great products at spectacular prices. Products whose value has been PROVEN time and time again. How to get started and what does it cost? The “start up investment” is $85 and K&B will send you a 35 pound box of samples; one full-color “Best Buys” catalog, a big stack of full-color manufacturers catalogs to go in your “Quality Line” binder; and a “Welcome/Training Kit” containing two video tapes, two audio tapes, and three policy, procedure, and start-up booklets. Basically, everything you need from them to get started. You have a full 30 days to look over the material and decide if the opportunity is right for you. If it isn’t, you can return the kit for a full refund, no questions asked. That makes it “No Risk.” Here is the great part! After you have $1,500 in sales, K&B refunds your $85.00! Why is there a $85.00 charge? Obviously K&B can’t send out a package of this value free to everyone who asks for it, so I believe the $85 is more than fair. Franchises fees to start other companies can be in the thousands of dollars! (Remember, you’re looking for a company that makes their profit on products and not on the opportunity itself.) If you are already in the advertising specialties industry and can document $1,500 in sales over the past year, they charge you ABSOLUTELY NOTHING to become a dealer and receive the 35-pound starter kit. When you make your first sale, you become an “active dealer.” You receive your dealer number, and you start receiving “The Windjammer” (K&B’s newsletter) and special sale announcements in the mail. K&B processes all orders, deals with the manufacturers, assumes all credit risks, and performs all delivering and collecting. Because they’re in a position to finance ANY order no matter how large, you are free to take your business in any direction you want it to go. You can work from home, work your own hours, and the start up investment is small to start your own business. If you are really interested, don’t wait! New dealers are joining us every day. Tomorrow someone else in your area may take advantage of this opportunity and begin calling on your customers. Don’t wait until it is too late – K&B cannot hold this opportunity open for you indefinitely! How we can help you get started today! You begin by filling out the K&B application. On this application you will be asked where you learned about K&B. If you put our number on the application it opens the door for us to be your mentor. For you, this means a LOT OF HELP!!! We team up with you to help make you successful. Once you have filled out the K&B application please call us toll free at 1-877-351-2627. We want to welcome you to the K&B team!